Welcome to the Q-munity and Allies Ministry Circle of First Baptist Church of Moorestown, where ALL are welcome. The Q-munity is a group of about 20 (and always growing!) LGBTQSGLA (Lesbian, Gay, Bisexual, Transgender, Queer, Same Gender Loving, and Allies) who gather at least once a month (the 4th Sunday) to share a meal, catch up and plan for the the upcoming months. Throughout the year we coordinate book groups, movie nights, barbecues, social outings, or last -minute get-togethers to just enjoy each other’s company. And we would love for you to join us! The LGBTQSGL and Allies (Q-munity) at FBCM believe that support, outreach, and advocacy for the LGBTQSGLA community are part of our call to “do justice and love mercy” (Micah 6:8). 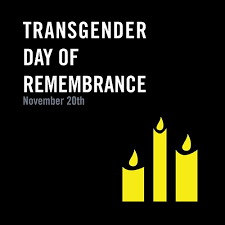 We will respond to this call by providing spiritual and social support for one another, and by connecting with others of faith in the LGBTQSGLA community. We, as Queer voices of faith, will continue to work in our church, region, denomination, larger Church body, and beyond for equality and justice for all God’s people- especially those who have left or been kicked out of the Church, or have never been shown that God loves them just as they are, no matter what. Day at the Lake- swimming, kayaking, and yes, more eating. Jingle Bell Rock GayBINGO! and Hairspray GayBINGO! Book Study- Janet Mock's New York Times Bestseller, "Redefining Realness: My Path to Womanhood, Identity, Love & So Much More"
Bernadette Christopher Morrell Karpf, Activist and Proud Trans Woman. Sunday, January 27th, right after church, we will have our monthly meeting (always the fourth Sunday of the month) at Pastor Jen's home. Enjoy some fabulous food, conversation, laughs, and fellowship. Email Pastor Jen for location- Jbradley12@gmail.com. 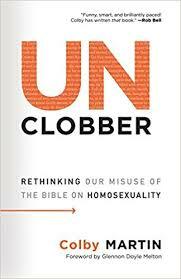 Wed, January 30th, at 6:30 PM, join us for a book study on Unclobber: Rethinking our Misuse of the Bible on Homosexuality by Colby Martin. Pizza and drinks will be provided.